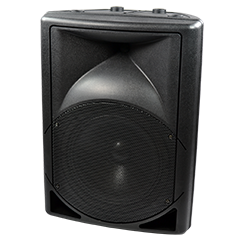 This Behringer Professional Floor Moniter merges incredible sonic performance with amazing affordability. The Behringer Professional Floor Moniter is supremely portable and well suited for all musical applications. 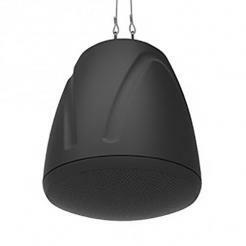 WS-8210GT Our BEST Seller for Ceiling Home or Office Speakers ! use with or without the transformer. High Quality Sound For Entertainment at it's Best ! Rectangular in wall 2 way speakers. 6" woofer 2" Tweeter. Sold in Pairs. Weltron high quality sound from a 2 way (woofer tweeter) speaker system. 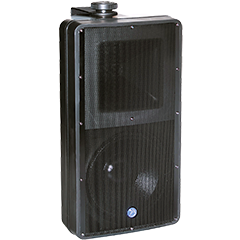 Weltron WS-7020 Outdoor or Indoor Surface Mount Stereo and PA Speakers. This is a great buy for a quality set of outdoor speakers. These speakers sound great, big full bass and treble sound for a outdoor system. 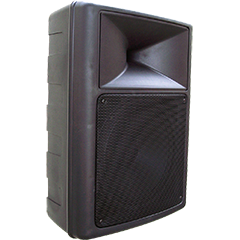 Outdoor or Indoor Professional Stadium Loud Speaker 200 Watt with 12" Woofer and Built in Horn.